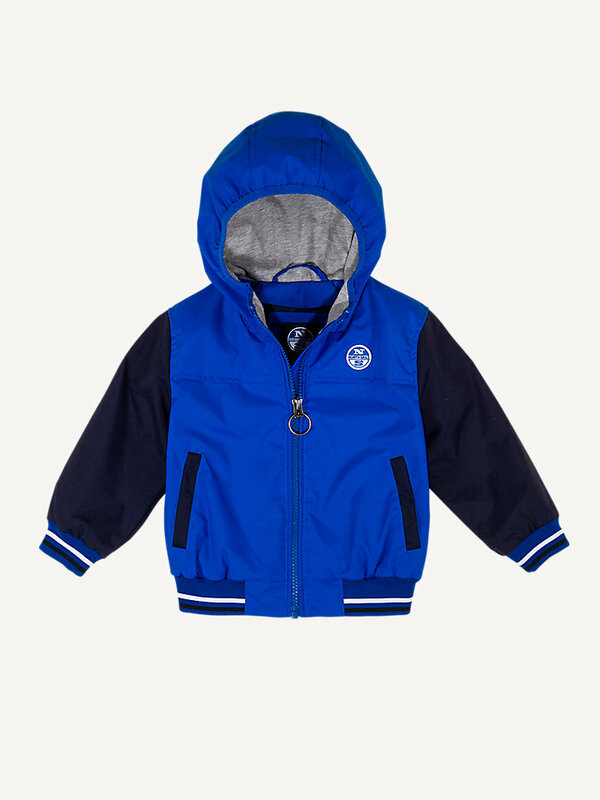 A true North Sails icon: this Sailor jacket for the little globetrotters we want to keep warm and snug when being outside. Available in different colors. 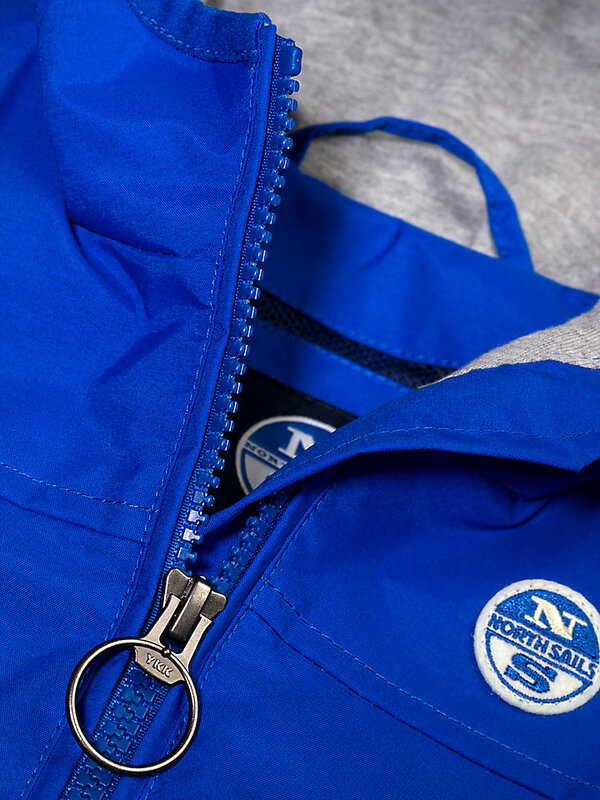 A North Sails classic that is the ultimate protective outdoor wear for infants: the hooded Sailor jacket. 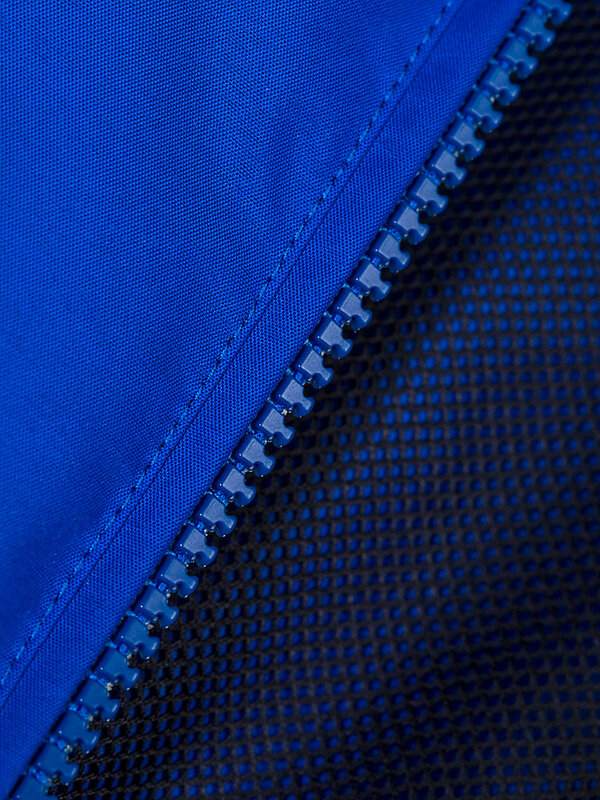 It is an exclusive piece of performance wear, made of taslan nylon - a modern, high-tech, woven polyester fabric that is strong and durable. Because of the Teflon coating it is water-repellent and dries quickly, so this jacket is perfect for the rougher weather conditions. Conveniently equipped with different functional elements to satisfy the little explorers.